Daniel Pryor criticises right-wing attitudes towards the welfare state and its recipients. I am going to plead with you to adopt a more compassionate, caring and understanding view of benefit claimants, if you have not done so already. Such an attitude is persuasive when debating advocates of current state welfare, but more importantly it is humane. Virtually everyone I’ve met that makes use of Britain’s welfare system ̶ whether in the form of Jobseekers’ Allowance or Housing Benefit ̶ is a charming, moral and decent individual. Obviously, to extrapolate opinions of people on benefits from my anecdotal evidence would be illogical. But I would ask the reader to consider their own first-hand experiences when forming a picture of the 64% of British families receiving some form of benefit, rather than surrendering to the knee-jerk allure of ‘Daily Mail-ism’. ‘This article doesn’t sound very libertarian so far’, some of you may be thinking. This is precisely the problem. A combination of stereotyping from left-wing media and the reinforcement of said stereotypes from much of the right-wing media has resulted in the popular perception that advocates of welfare reform loathe the people receiving benefits as much as the system itself. The disparities between the facts and public perceptions of welfare are frankly shocking. A recent survey conducted by King’s College London revealed that the public believes ‘£24 of every £100 of benefits’ are fraudulently claimed, whereas official estimates come in at around 70p in every £100. David Cameron’s unfortunate rhetoric of ‘workers not shirkers’ is not only divisive and insulting, but also plain wrong. David Cameron’s unfortunate rhetoric of ‘workers not shirkers’ is not only divisive and insulting, but also plain wrong. Sadly, it seems that Owen’s proclivity for socialism often causes right-wingers to conflate the valid with the invalid: rejecting a sympathetic stance towards those on welfare due to the associated support for flawed means of addressing the issue (e.g. raising the NMW). The overriding causes of unemployment in the UK are created by the government, not an imaginary scourge of ‘fecklessness’. Emotive measures such as the £26,000 cap on benefits, which began just over a week ago, may be politically advantageous. However, the reality is that projected first year savings of this much-lauded move represent just 0.07% of Britain’s overall benefits spending. Far more shocking examples of the state disincentivising work can easily be found. Take the travesty of taxing workers who earn NMW, rather than raising the personal allowance to the NMW level of £12,875. These are some of the lowest-paid earners in society, yet still their modest earnings are plundered by the state. Even more scandalous are the marginal tax rates faced by many of Britain’s poorest. The Spectator’s Fraser Nelson has previously highlighted cases in which a single mother could face a marginal tax rate of up to 95%. 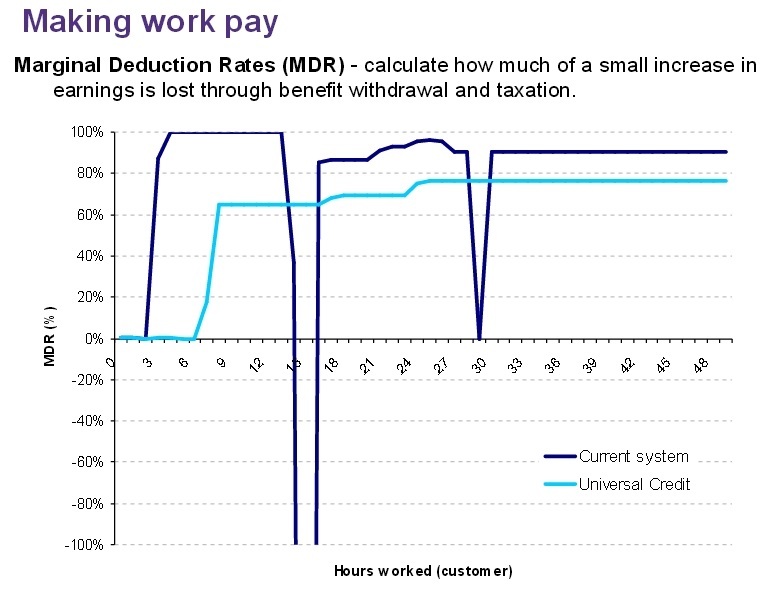 Recent figures from the Department of Work and Pensions show that marginal deduction rates (how much of a small increase in earnings is lost through benefit withdrawal and taxation) are hugely excessive and wildly fluctuating, creating distorted incentives that undermine the value of increasing hours worked. It’s hardly surprising that, confronted with such little gain from working more, welfare appears to be the rational choice for many. We should blame the state for making welfare so attractive. Moreover, the efforts of libertarians should be focused upon campaigning for the current government to adopt policies that make a considerable impact in encouraging work, such as expanding Universal Credit: an important step towards solving the problems faced by the British welfare system. The more radical amongst us ̶ myself included ̶ may wish to go further in the future, pushing for a return to the private welfare provided by friendly societies and mutual insurance associations. Either way, libertarians would do well to push for ‘UC’. Under proposals by the Department of Work and Pensions, Universal Credit aims to make Marginal Deduction Rates lower and more uniform – helping to incentivise work. 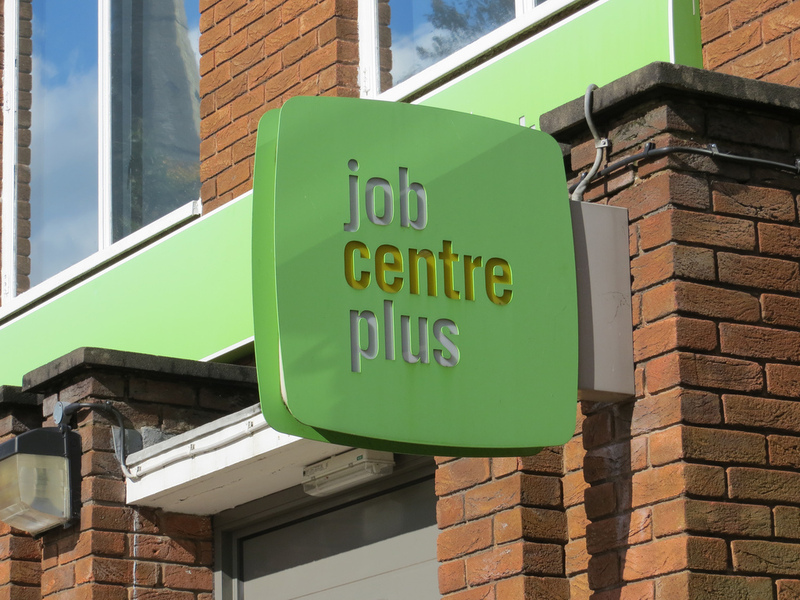 Approaching welfare reform with care and consideration for some of the poorest in Britain should be second nature to those concerned with human wellbeing. Unemployment is depressing, boring and horrible enough as it is without having to deal with the humiliation of society’s collective disdain. Commentators on the Left believe right-wing attitudes towards welfare are cold and inhumane. Let’s show them just how wrong they are.